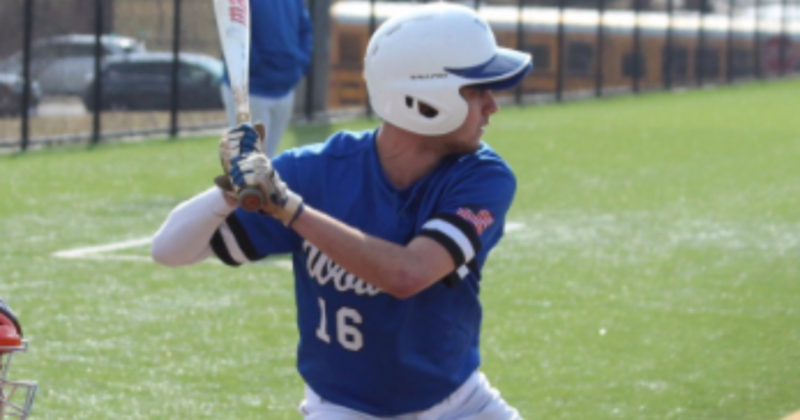 April 8 - For the second time in two weeks, West Potomac upset a team ranked in the Northern Virginia Top 10, taking an early lead and holding on when reliever Alex Grove worked out of a bases-loaded, no outs jam in the bottom of the seventh inning to preserve a 3-1 win at No. 2 Potomac on Thursday. The win was the third straight and fifth in six games for West Potomac (5-2), which beat No. 9 Bishop O’Connell, 4-3, on Mar. 20. The loss was the first of the season for the Panthers (7-1), who had the heart of their order up once they loaded the bases in the seventh only to have Grove retire Julian Cumba, Brody Mack and Braden Mack on two strikeouts and a fly ball. The Wolverines posted three runs over the first two innings against Panthers starter Braden Mack, then saw their starter, senior left-hander Jack Bachmore, along with relievers Albert Pallasch and Grove work around constant traffic. Potomac stranded eight runners in scoring position. Bachmore struck out eight over five innings to earn the win. Colonial Forge has begun to hit its stride, entering the week on a three-game winning streak since coach Dave Colangelo inserted switch-hitting senior catcher and first baseman Jake Wortman into the leadoff spot in his order. Wortman, a Bucknell University recruit, is hitting .450 and enters today’s game against Clover Hill riding an 11-game hitting streak that dates to last season. He has found success from both sides of the plate, going 6-for-14 batting left-handed and 3-for-6 batting right-handed. Last spring, Wortman hit .345 with a .494 on-base percentage, two home runs and 13 RBI en route to second-team All-Commonwealth District honors, and he hit .393 with a .514 on-base percentage and 17 RBI as a sophomore in 2017. The Eagles have scored 40 runs over their three-game streak. Loudoun County’s newest high school, Independence, will begin the hiring process for its first baseball coach this month. The Ashburn school is expected to advertise the position on the LCPS website later this week. Independence, which will be the county’s 17th high school, will open this fall. The Tigers have hired a number of coaches for its fall and winter sports teams. Also in place are the school’s athletics director, Ryan Rogers, as well as assistant athletic director, Mat Shannon, the current baseball coach at Stone Bridge. From 1954-96, LCPS had just four high schools - Loudoun County, Loudoun Valley, Broad Run and Park View. In 1997, Potomac Falls opened, and during the two-decade period between Stone Bridge opening in 2000 and Independence opening this fall, one of the country’s fastest-growing counties will have christened a dozen new high schools.